I once again have a couple of "S" words for you today. My first one is really for yesterday and my word is "STRESS". 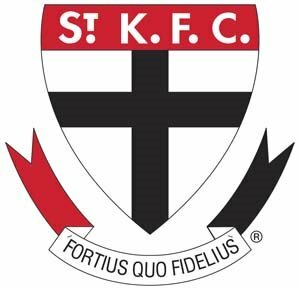 Now I don't get very stressed these days but yesterday my football team "St Kilda Saints" were playing in the Grand Final against "Collingwood Magpies". It was a very entertaining game but my body was tense the whole time. As it neared the final siren it was getting more and more exciting as the Saints were only 1 point down and then they scored another point and the scores were even. Then all of a sudden the siren went and it was a draw!!!! Now in "AFL" the rules are that no extra time is played, the game is actually replayed the next week. So we all have to go thru it again next Saturday - Nooooooo!!! Looks like I might be a bit stressed again next week, but the sad thing is I have to work and won't be able to actually watch it!!!!! Now onto today's "S" word. It is something I am thinking about and planning to be enjoying in November. My word is "SUNSHINE" and the reason it is on my mind is because I am currently organising accommodation for 8 girls (me included) in "BALI" in November. 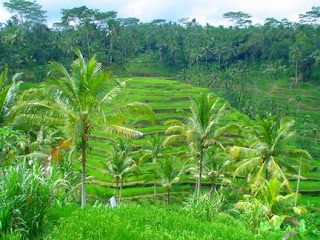 I love Bali, this will be my fourth visit and it definitely won't be my last. The locals are so friendly and I just love their customs, history and relaxed attitude to everything. I'm looking forward to sharing my trip with everyone out there. Wow sounds like it's going to be a fantastic trip! It's so awesome that you get to travel and see the world. Hope you have a fantastic week Davine, things are getting a little nuts here with being back in classes so you might not see me quite as often but when I can I'll come for a visit. Cheers!